Modern “flips” cocktails are made using a whole egg. Early recipes for flips involved hearing rum and beer with a hot poker, with or without eggs. Contemporary flips tend to be shaken with ice and served cold. Combine the bourbon syrup, and lime juice in a in a shaker & shake them with ice. Strain the drink into a pint glass to achieve a layering effect. Mix drink with spoon or straw if desired. Combine the sugar, ginger, habanero, & water in a pot & heat over medium hear, stirring, until the sugar has dissolved, then bring it to a simmer. Remove the pot from the heat & remove the Chile halves or leave them in if more spice is desired. Once cool, strain the syrup and store it in a sealed bottle. It will keep in the refrigerator for up to 2 weeks. The simplest beer cocktails, these are beers that are modified with spirits, spices, or other ingredients to take on additional flavor. Beer remains the main ingredient in these drinks and they’re generally served in a large glass. Hot beer drinks may sound strange, but they were once an important part of drinking culture. On a cold night, they can be just the thing to shake off a chill. In a pot, combine the ale, sugar and spices and heat them over medium hear to about 140°F. 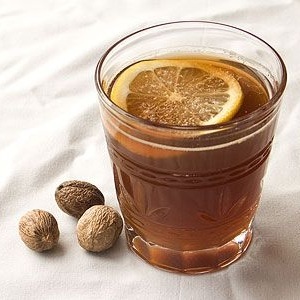 Pour them into a large warmed mug along with the cognac and orange wheel. Beer has a long history in punch, to which it both adds its own flavor and balances the strength of higher - proof spirits. These drinks in which beer is treated just like any other ingredient, shaken or stirred along with everything else. 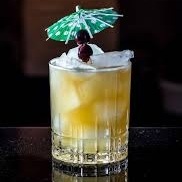 This works well in tiki cocktails, where shaking a bitter beer such as an IPA with rum, juice, and syrups gives a touch of bitterness and a big frothy head. Sometimes the use of beer in a cocktail starts long before serving the drinks. Beer can be reduced on the stove and combined with sugar and spices to make a flavorful syrup.